A Weekend in Boise, Idaho - Top Ten Travel Blog | Our experiences traveling throughout the US. Last weekend, Mike and I took a road trip to Boise, Idaho. We were excited to check out the area after hearing only positive feedback. Driving in we were not very impressed with the dull, desert landscape. I was expecting Boise to be a bit more lush, however, after spending some time here we really got to like the area. Simply driving by on the highway, you would never guess that Boise has so many wonderful parks, trails, and hiking areas. 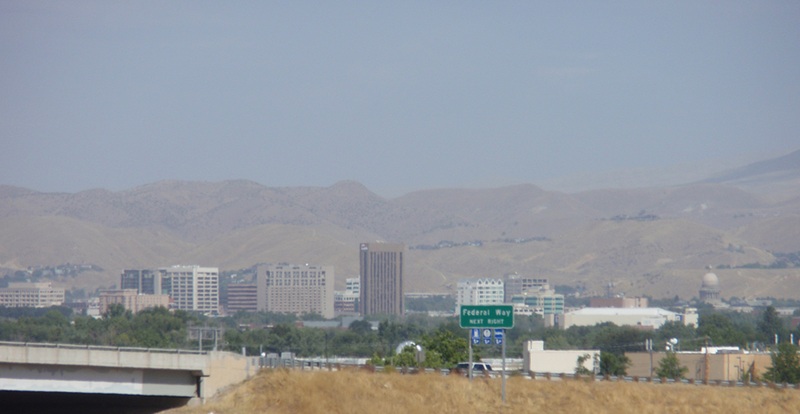 Although the area itself is quite flat, the mountains surrounding the city, referred to as the Boise foothills by locals, provide plenty in the way of scenic recreation. Prior to the trip, we had booked a hotel at the Best Western Plus Northwest Lodge, located on the outskirts of Boise in a quiet area right off the freeway. A complimentary breakfast and evening wine reception were offered to all guests. I have to say this was definitely the nicest Best Western I have stayed at in a while. The woody theme was fantastic! If you are looking for a nice budget friendly hotel, I highly recommend checking out this Best Western. After a long drive, we decided to take it easy the first night of our trip. We decided to stroll around the downtown area and ate at P.F. Chang’s, one of our favorite chains (and one of the few to offer a large number of vegetarian options). I recommend the vegetarian lettuce wraps! Boise’s downtown is pretty small, however, it was not that bad considering Boise has a population of only 200,000. You will find plenty of interesting shops and popular restaurants in the downtown area. Best of all the downtown is very walkable and free parking is easy to find. You’ll find numerous attractions including beautiful parks, the Boise Art Museum, Zoo Boise, and the Idaho State Capitol. 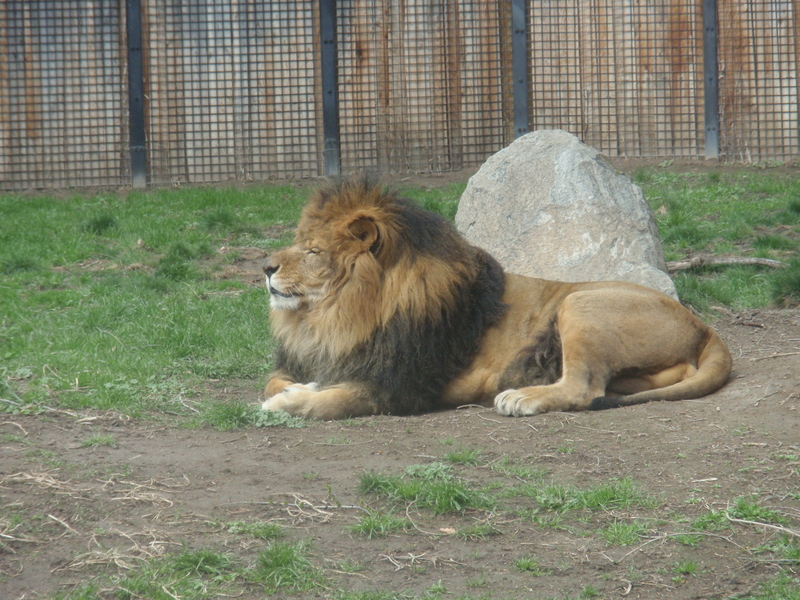 Zoo Boise is pretty small, however, it’s a great place if you wan to get an upclose look at animals. Later that evening, we went to the Idaho Center to see the Ringling Brothers Zing Zang Zoom Circus. This was a great show that was surprisingly very entertaining. The Idaho Center hosts various events throughout the year. The next morning after using the hotel fitness center and hot tub, we took a ride over to Julia Davis Park. 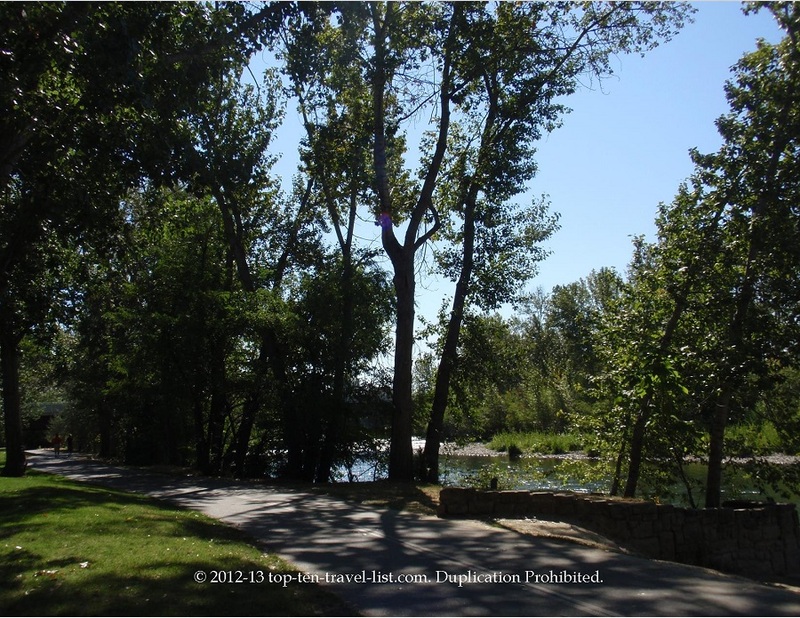 This is a great city park located near the Boise downtown area. 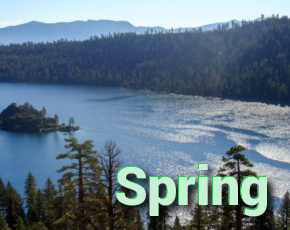 There are plenty of things to do including tennis courts, paddle boat rentals, and the city zoo. 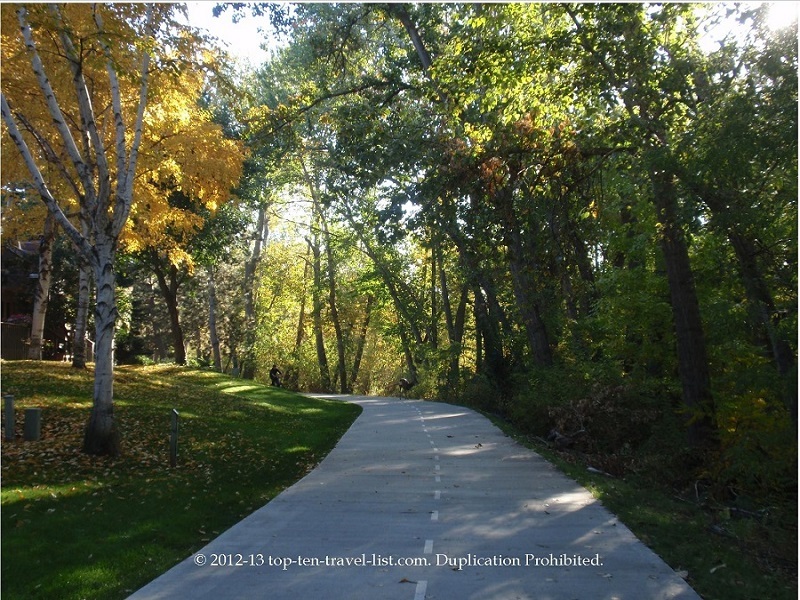 From this park, we had access to the Boise greenbelt, a 25 mile long paved biking, walking and jogging path that runs along the Boise River. We biked about 20 miles and would have gone farther if it were not for the strong heat that day – 100 degrees! This path really is gorgeous and nicely maintained – one of the better paths which I have come across. If I lived in the area, I would use it for jogging, biking, or walking daily – that’s for sure! 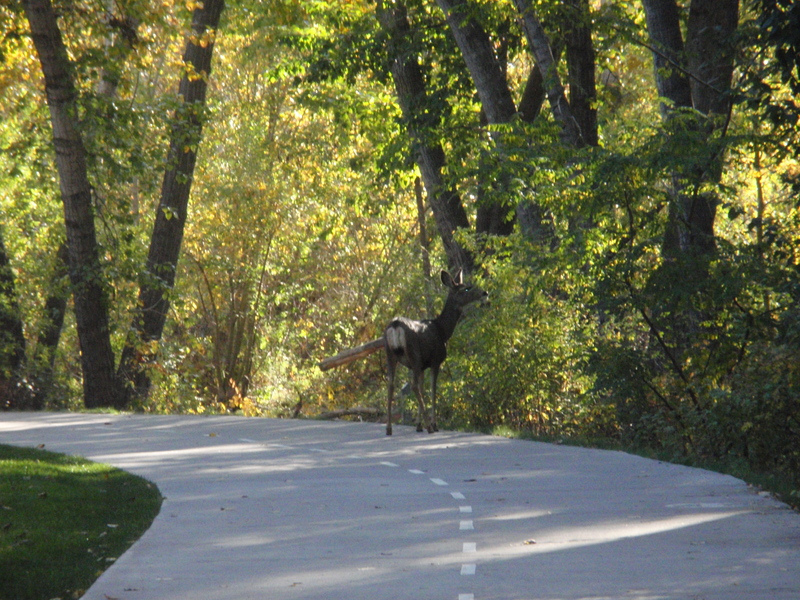 The greenbelt follows the course of the Boise River, and is leafy and shaded in most sections. However, there were a few parts that were barren and really hot in the extreme heat. I would probably recommend doing the path in the fall season as it might get too hot in the summer. Plus, I imagine the fall foliage is spectacular with all the trees lining the route. The section that goes through Boise State University is especially nice as there are tons of planted trees. The only thing we did not like about the path was that it was not marked as well as other paths we have taken. The greenbelt is a great place for spotting wildlife, especially during the morning hours! 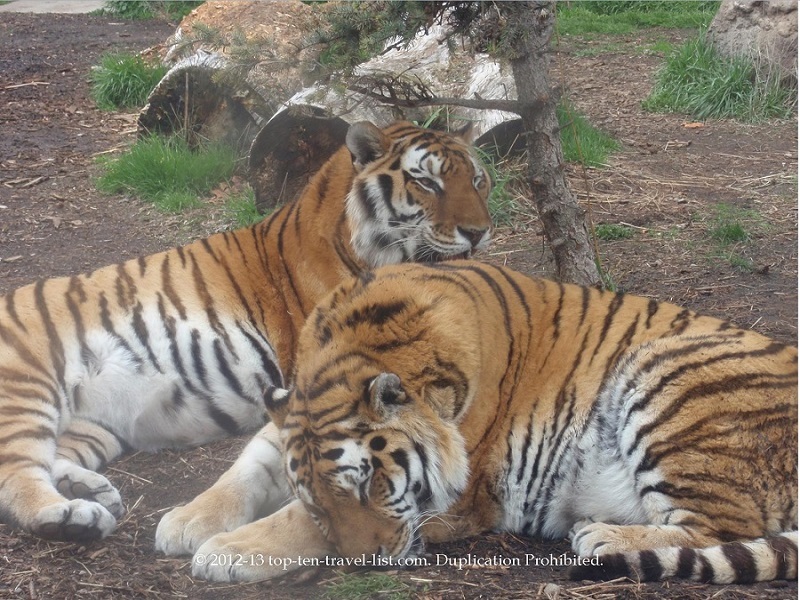 Zoo Boise – a tiny zoo, but very well-maintained with a nice diversity of animals! The perfect break as it is located right on the path! Later that night, we made our way to the downtown area to dine at The Melting Pot. I highly recommend this restaurant as a fun date night together making fondue. Boise is a great city filled with ample opportunities for recreation, cultural activities, shopping, and dining. Listed above are just a handful of things to do in this great city. I will definitely be planning a return visit in the near future! Have you ever been to Boise? 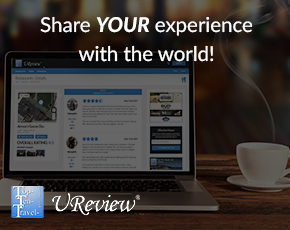 What are some of your favorite activities/attractions in the area?